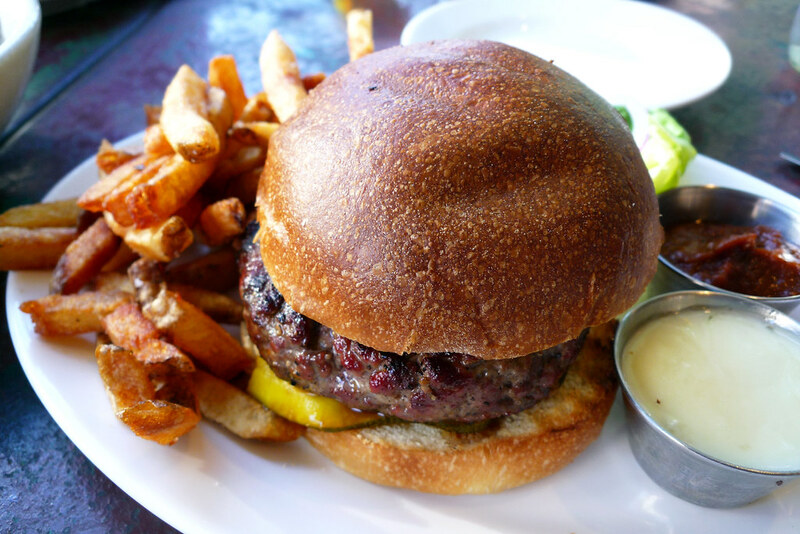 In this solo dining adventure, Gary revisits the burger at Belcourt. 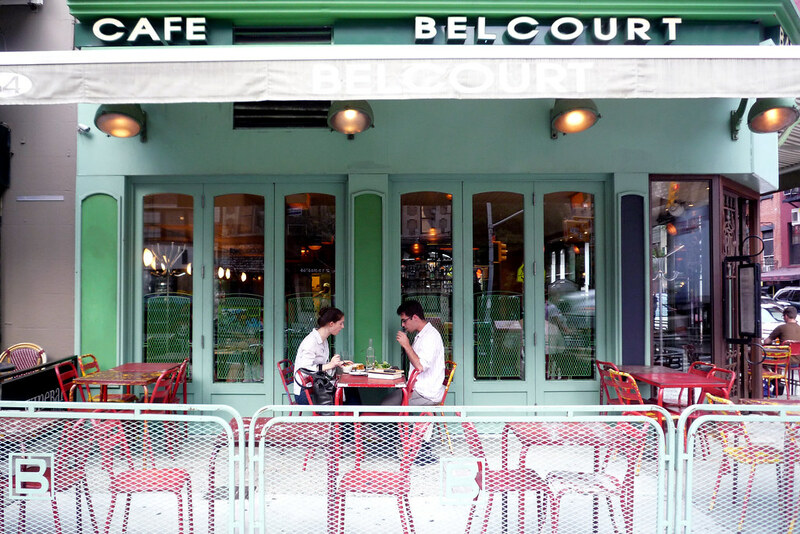 Last summer, I was looking to get my burger fix in the East Village, with no idea where to do so, until I came upon a Serious Eats review of Belcourt. It looked and sounded good so I quickly made plans with some friends to try it out. It was, indeed, as good a burger as described. I didn’t have a food blog back then so I didn’t have the forum to review it but now I do so… yeah, it’s time to revist the Belcourt burger. My friends and I arrived at Belcourt a little before 6 pm, which meant we actually got there before their oyster hour ended. Of course, I thought their oyster hour (basically, a happy hour with discounts on, well, oysters) was from 4 to 7 pm but that was when I first visited them a year ago. This would be the first change that Belcourt has made in the intervening year between visits and not for the better. Still, we got there in time for the earlier-ending oyster hour so we went ahead and ordered a half-dozen oysters ($10) to start. 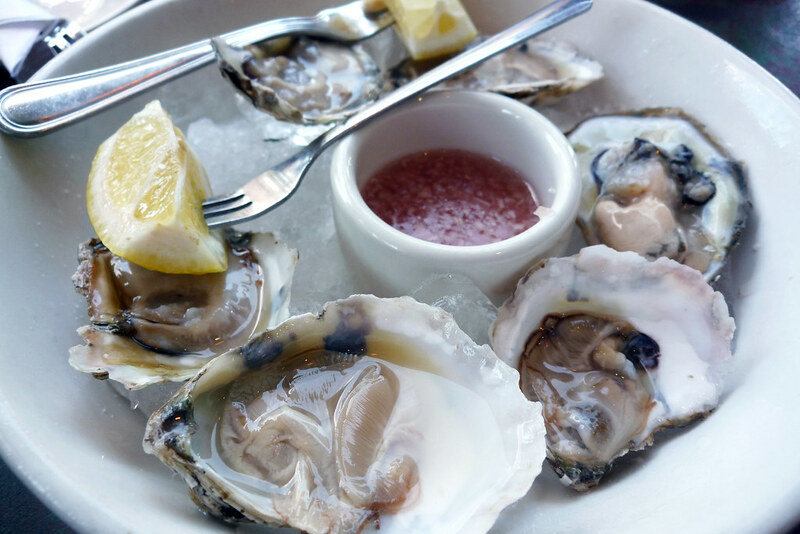 When you consider the half-dozen is $17 outside of oyster hour, it’s a steal. Sure, it comes with buttered rye bread then but is that really worth the additional $7? Get out of work early enough so you can get here before 6 pm for oyster hour. After making quick work of the oysters (they’re tiny), it wasn’t long before we got our burgers. At Belcourt, you have the option of beef or lamb plus toppings such as cheese or bacon. We went the boring, but traditional route, choosing an unadorned beef burger, medium-rare. Besides the usual lettuce and tomato, you get pickles. But not just any pickle, no, here you get picked zucchini. They’re not much different from a cucumber pickle so they have that same sour (slightly spicy) flavor but they’re softer than your average pickle, almost butter-like when mashed between the burger and bun. Speaking of the bun, it’s homemade and my idea of a perfect bun for this burger. It’s big but not cumbersome to get into the mouth. It’s soft and really light despite its size. It’s also got a beautiful lacquered finish on top (brushing the top with egg wash does wonders) that crackles nicely when bitten into. The beef itself is wonderful. You can tell from the photo above that the beef here isn’t ground too finely – rather, the burger is loosely formed from tiny chunks of beef that solidify when cooked. I wish I’d taken an interior shot so you can see what I mean but trust me when I say that the beef here is tender, juicy, almost melty. The fries here are also great – crispy and well-salted. The aioli and spicy ketchup that comes with the burger are better suited for the fries but they’re seasoned so nicely, they don’t really need much help by way of the condiments. So here’s the only problem I have with Belcourt – when I had the burger a year ago, it was $12 and now it’s $15. I’m not averse to a restaurant adjusting prices for inflation or to cover rising prices of ingredients. But a 25% jump in less than a year is a lot to digest and made more onerous by not mentioning it on their online menu. Is it worth it at $15? Yes, but not nearly as much as when it was $12. When it was $12, it was a burger that was well above its competition at the price point. At $15, it’s playing with the big boys and I just don’t think it fares as well in that class of players. 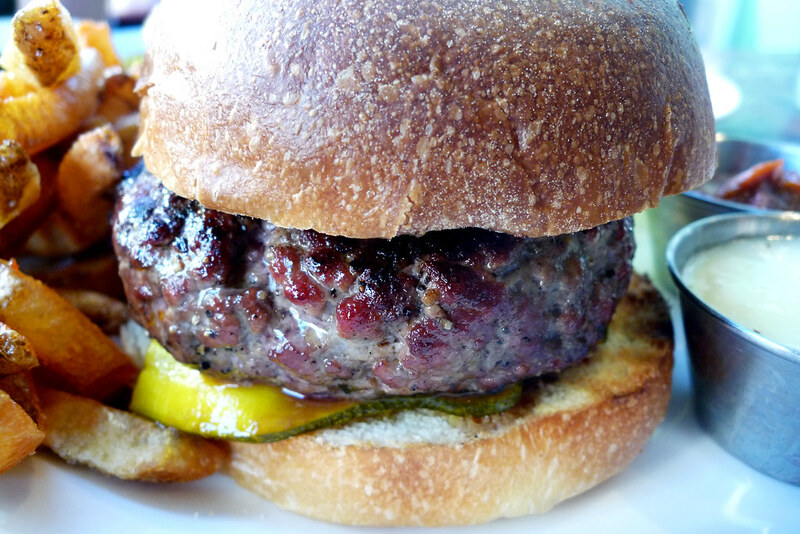 Still, I think this is a burger well worth having, though perhaps not as one’s first choice in the $15-$20 category. Belcourt. 84 2nd Avenue, New York, NY 10003. [Show/Hide Map] (212) 979-2034.